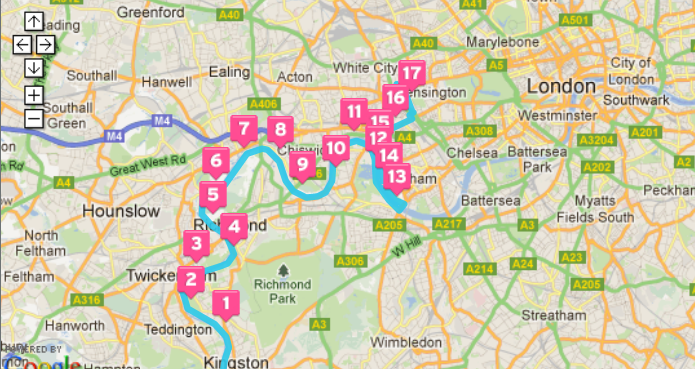 After my fantastic run on the Thames path last weekend, I’ve had another good week of running and marathon training. Again, I’ve been to BMF 3 times but I also added a run on Thursday where I was happy enough to include 3 speedy mile laps in the middle of my run. My fastest was 7.42 which I will log for magic mile team GB, although I might try to have another go as I’m sure all out I can beat that! Today I was back on the Thames path for another long run. I ran downstream this time and on the south bank of the river where the path follows it closely. My legs weren’t as fresh as last week after speedwork on Thursday and a harder BMF class yesterday but was happy to be only a bit slower paced than last week over my 17 miles. Kingston to Putney then back to Hammersmith and home. 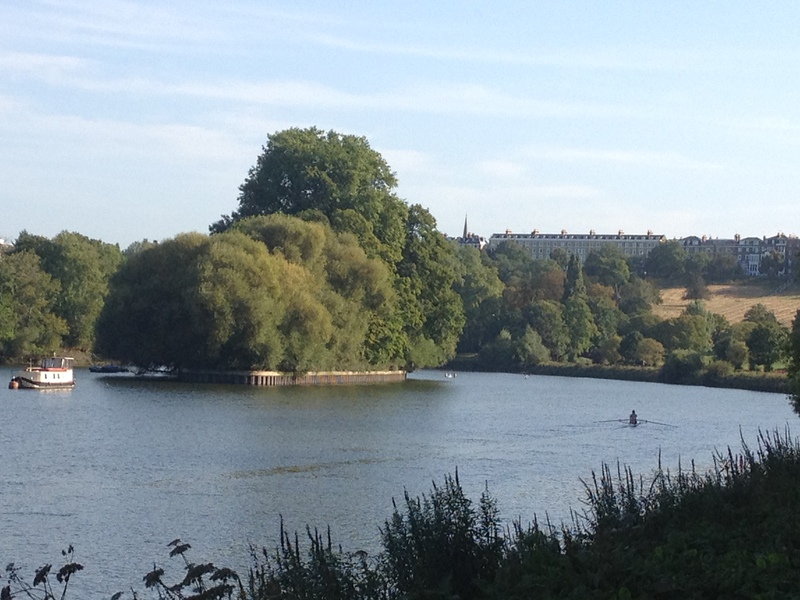 Very different scenery this week, at some times easy to forget you are running so close to London. Talking about happy running, Bupa Running are celebrating the world’s happiest run – the Bupa Great North Run, tomorrow. (I’m going to have to run it now sooner or later!) They’ve set up a tumblr page where runners can share their pictures of their training and of race day and would love runners to have a look and send in their pictures via Facebook and Twitter using the #BupaGNR and #happiestrun hashtags. As an added charity incentive Bupa will be donating £1 to their charity partner, Diabetes UK, on behalf of the first 2000 people to share their experiences on Twitter and Facebook with the #happiestrun hashtag. Good luck to everyone running the GNR tomorrow and to everyone else training and running in upcoming events. Don’t forget to share your experiences with Bupa running #BupaGNR #happiestrun and spread the word if you are running for a good cause. I won’t be joining you tomorrow but do have the Ealing Half and Royal Parks Half in 2 and 3 weeks time. Categories: running | Tags: #happiestrun, Bupa Running, GNR, long run, magic mile, marathon training, Running, Thames path | Permalink. Good luck with your events in a couple of weeks time. 7.42 seems brilliant to me! Glad that you are enjoying things again. Good luck with your races coming up.